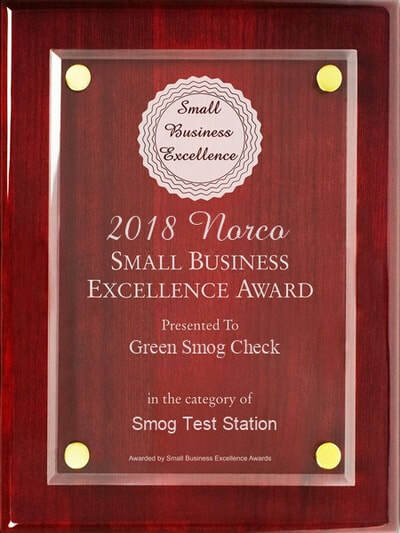 Green Smog Check in Norco, CA: Guaranteed Best Price & Service! Located at 2126 Hamner Ave, Norco, CA 92860 (inside Norco Auto Mall); we are a premier provider of smog testing services in Riverside county. 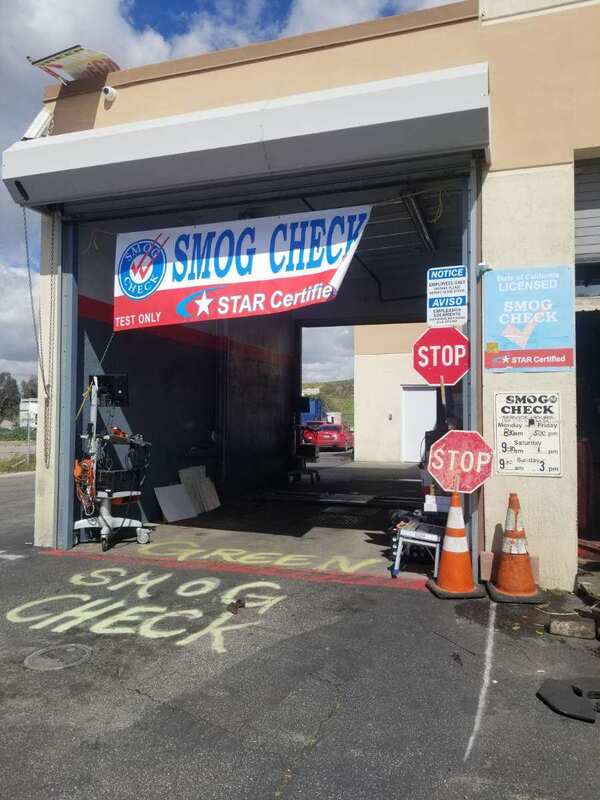 Please give us a call at (951) 272-3300 for your smog check needs. 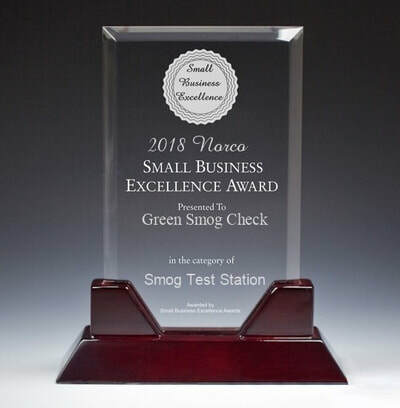 Whether you need a smog test for vehicle registration renewal, for ownership transfer or for out-of-state vehicle registration - we are here to help. We are a test only facility i.e. we do not do repairs. 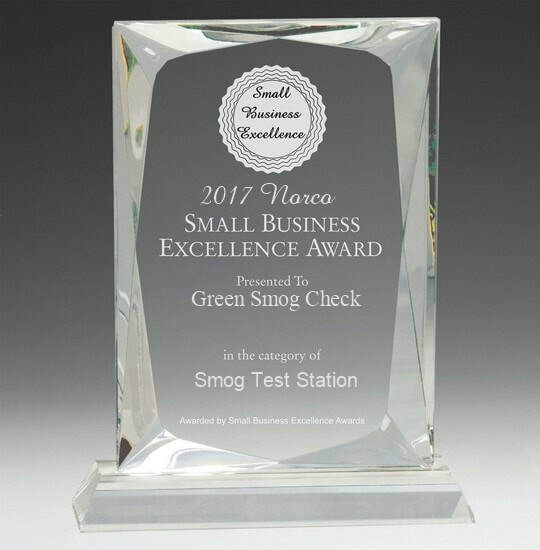 It is in our best interest that your vehicle passes the first time, as we do not charge for retests. 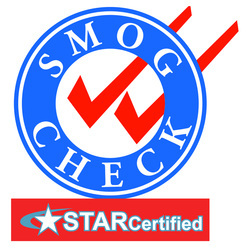 Our smog technicians have all the necessary state licenses; and decades of collective experience. We strive to achieve excellence in customer service, with over 30,000 vehicles smogged annually at our smog inspection facilities. 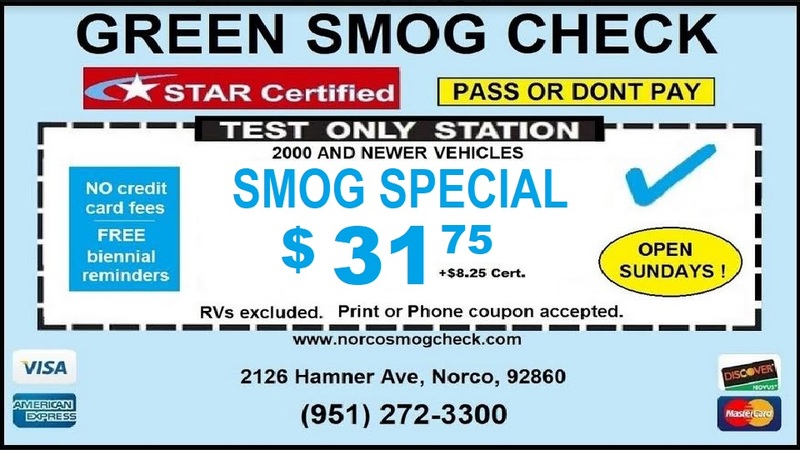 Pass OR Don't Pay - we do not charge if your vehicle fails the smog test. Find a better price coupon elsewhere; we'll honor it! 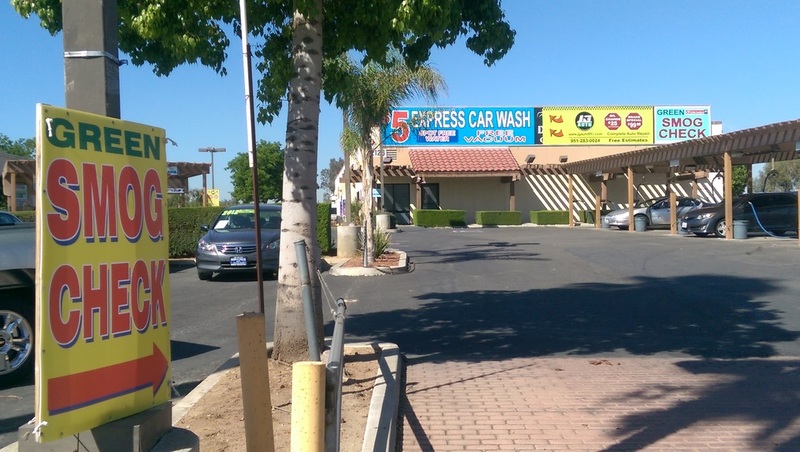 All STAR test only coupons within 2 mile radius of Norco. We have the latest in BAR-approved smog testing equipment. In addition we also have a automated documentation (estimates and invoices) system which ensures minimal wait times. We carry all local and state licenses necessary for the smog inspection business . 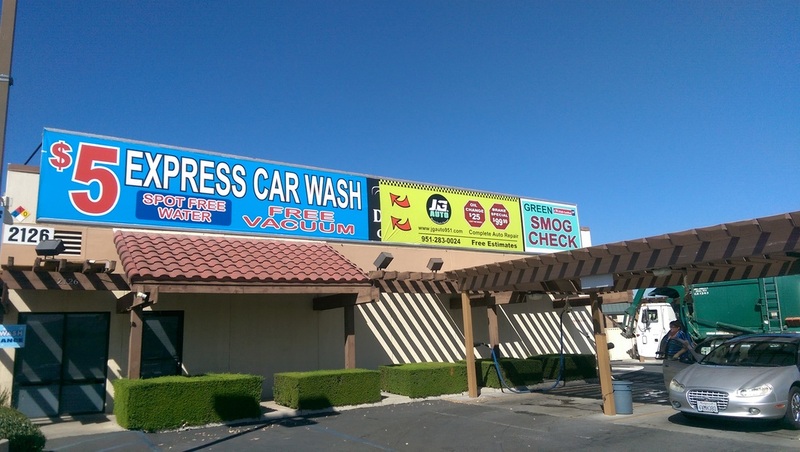 In addition to ensuring proper care of your vehicles while performing the smog test; we carry all required business insurances. 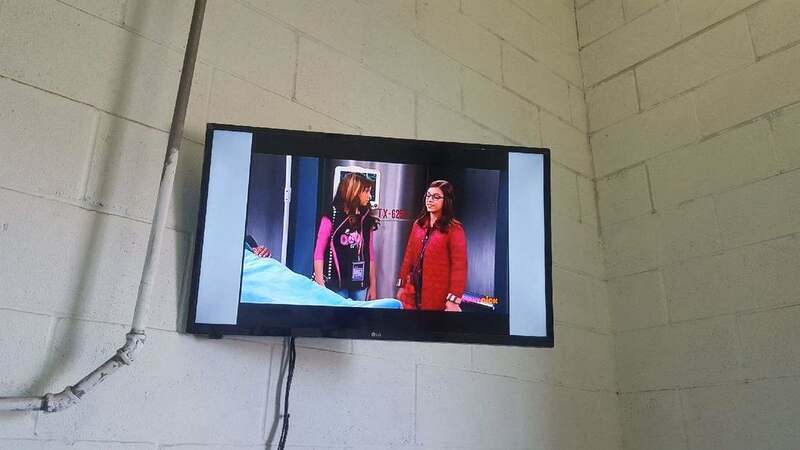 Simply Show Us on Your Phone!